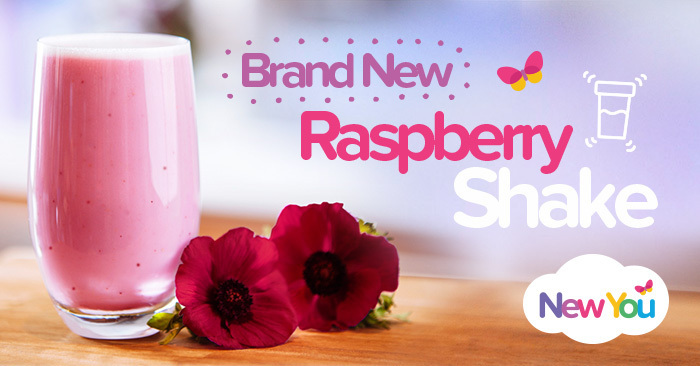 Get ready to tantalise those taste buds with the flavour you’ve all been waiting for… the totally invigorating, fun and fruity, Raspberry Shake. Losing weight has never tasted so good! Satisfy those sweet tooth cravings and enjoy a mouth-watering combination of flavours in a flash thanks to this super easy to make Shake. Packed full of nutritional goodness, this raspberry flavour complete diet weight loss shake is designed for safe, rapid weight loss through ketosis. The New You Plan weight loss TFR/VLCD shakes contain the essential vitamins and minerals that you need to stay in tip top shape, while helping your body burn that nasty fat for results you truly won’t believe! So what are you waiting for? Shake off that weight with our invigorating Raspberry Shake. Hurry… limited availability! Shop HERE today!